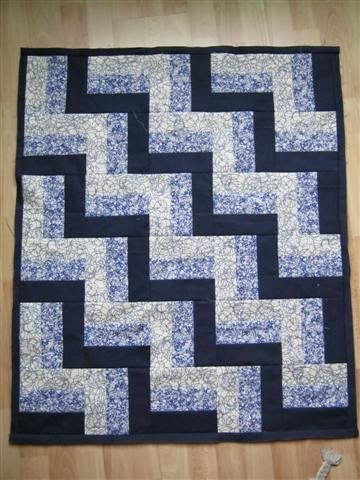 Well, I'm sitting at home with strep throat, bored out of my mind, so I managed to finish two quilts this week, and one of them hand-quilted, wahoo! 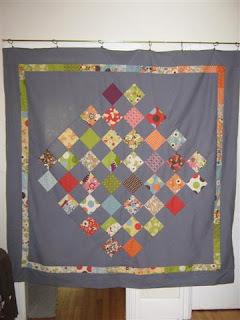 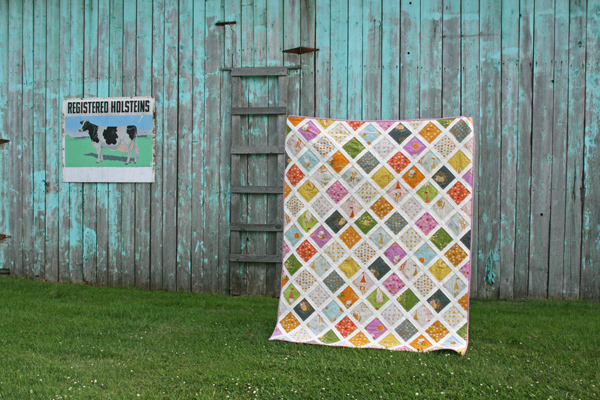 I basted the quilt that same afternoon. 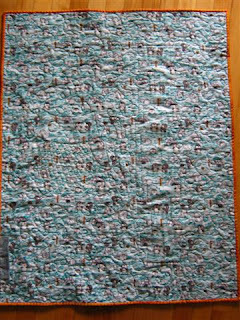 Didn't have any hesitation deciding on the quilting, for some reason... sometimes the ideas just snap right in, other times I have to hum and hah for a few months, it seems. 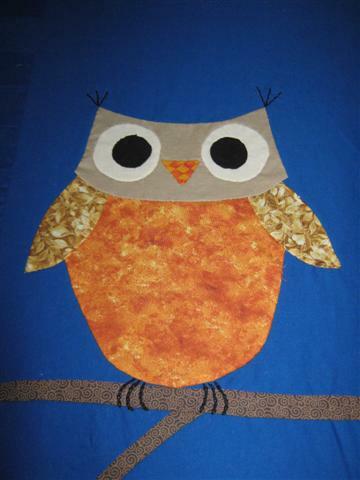 I started with the owl, outlining the wings, body, face and pupils as I didn't trust all of my hand-applique to hold up during subsequent washes. 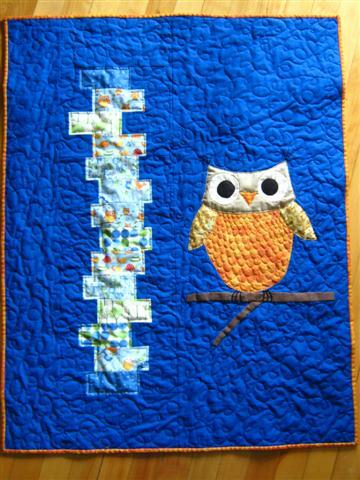 I also quilted some feathers (the owl kind, not the decorative kind) on the body. Lastly, I outlined around the wonky stacked coins. 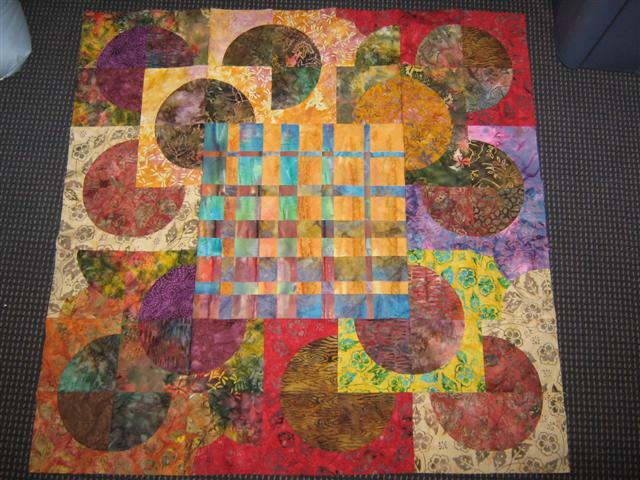 That was a bit of a pain because I used a walking foot, so had to turn every 1/2" to 2". Luckily, it was a small stack of coins! 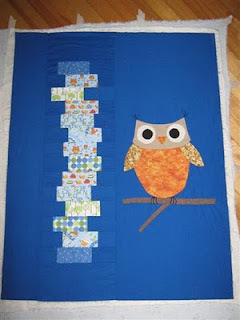 You can even see the owl outline on the back (on the left in this pictures)! 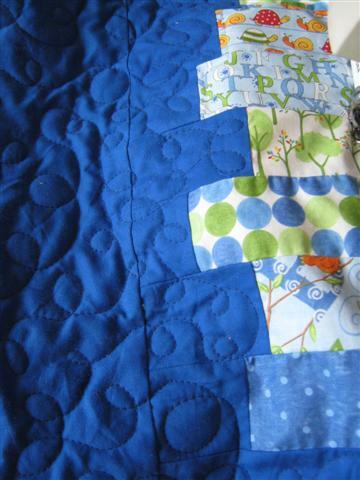 This quilt was fun to make and I love the personal touch of my own applique shape. 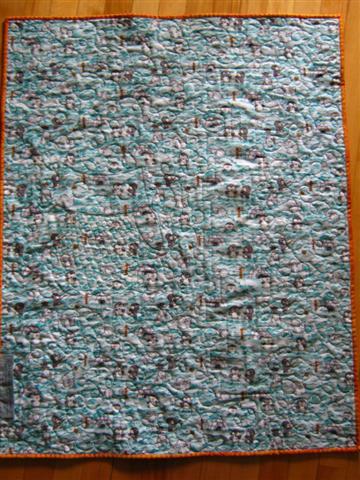 Maybe I'll make a series next, I'd love to make a giraffe and an elephant!! 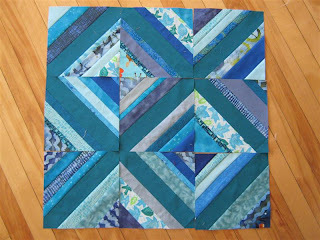 Stay tuned for finish #2! What a cute stack, and a cute owl! Good call on the owl feathers, those stitches just make the design so fun! Adorable! 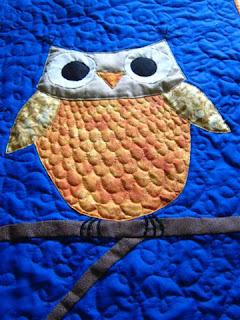 I love the way you quilted the feathers on the little owl body. 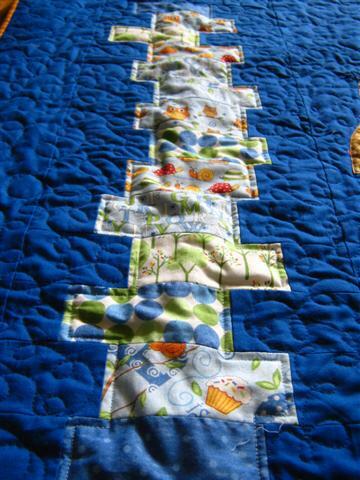 Really cute quilt. 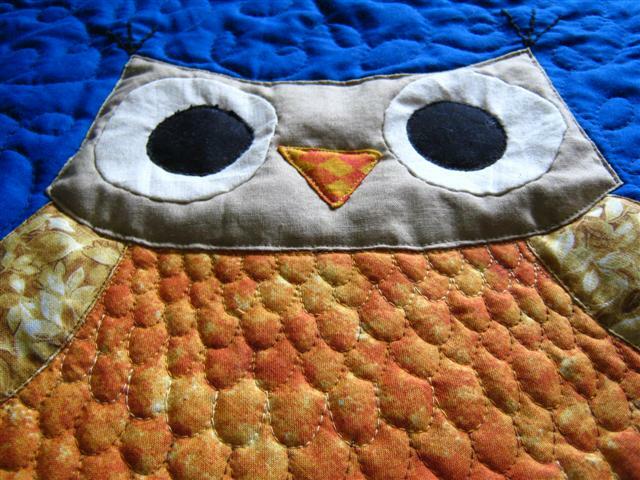 Your owl is adorable, you did a fantastic job on the quilting. It was a great quilt before you quilted it, but the quilting just makes it! Wonderful finish!